Taste authentic Northern Thai food, local delicacies and enjoy the atmosphere of Lanna Khantoke. 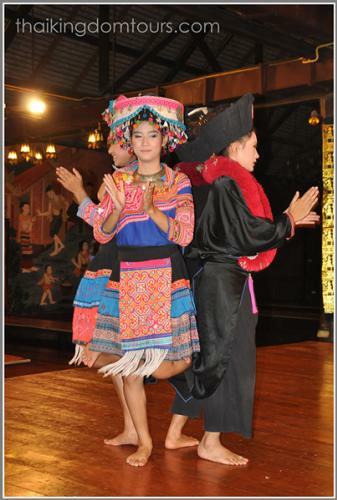 Be entertained by a cultural show celebrating dancing styles from northern Thailand including Candle Dance , Drum Dance, Sword Dance and Hill Tribe Dance. 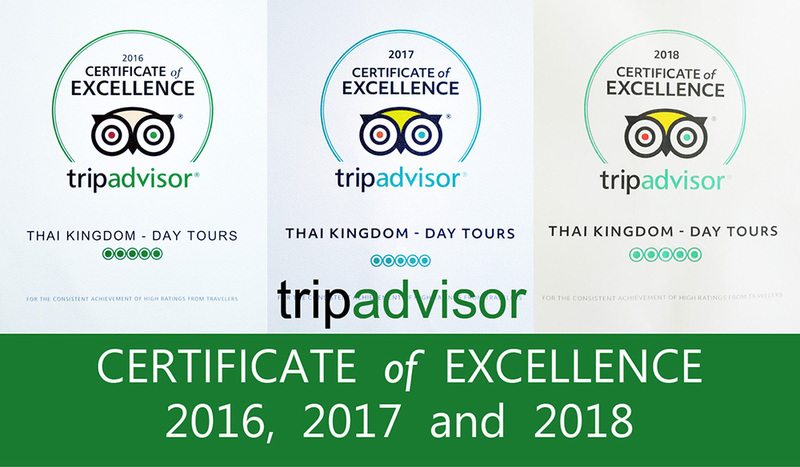 Your opportunity to enjoy northern Thai food and dance shows at the same time. You will be picked up at 7 pm and transferred to Khantoke Dinner Place. 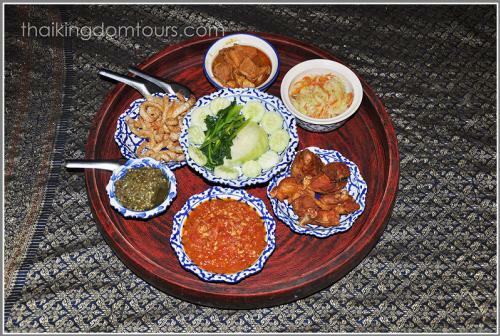 Many dishes of northern Thai food such as curry pork, grilled chili paste, northern Thai style fried chicken and more will be served in the bowls (called Khan) and placed on a round table liked tray (called Toke). 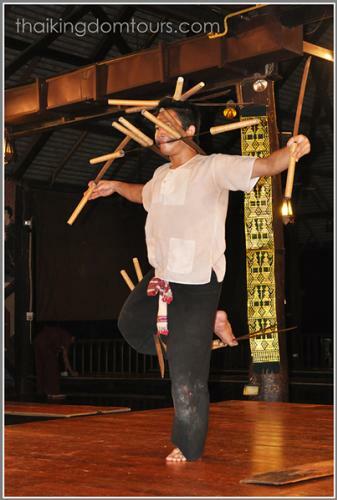 While enjoying your meal, you will be entertained by dancers performing many beautiful dance shows like Finger Nail Dance, Sword Dance, Victory Drum and Hill Tribe Dance.